Thesis topic: Legends of Namaqualand: population ecology and extinction risk of Halfmens (Pachypodium namaquanum) in the Lower Orange River Valley. Kirsti Nghidinwa currently works as a Conservation Scientist for the Ministry of Environment and Tourism in Namibia. 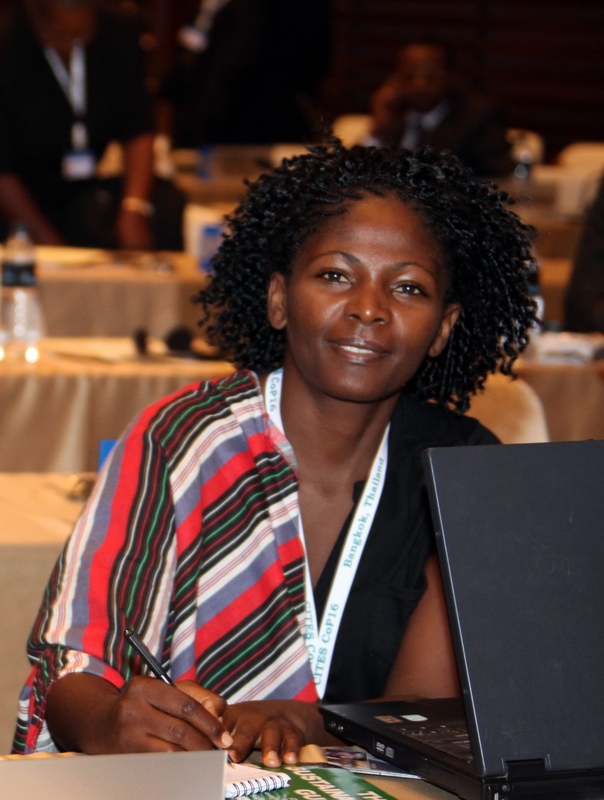 In addition, Kirsti has been appointed as the Alternate Representative of the CITES Plants Committee in Africa (https://cites.org/eng/com/pc/member.php). Kirsti obtained a BSc in biology from Humboldt State University in northern California and MSc in plant ecology from Lincoln University, New Zealand. This journey that took her through a humble community where locals take up residence in the canopies of giant redwood trees to stop loggers from hacking the trees down, and across the Canterbury plains 'down under' where women jog alone in bushes, inspired Kirsti to return home at the edge of the desert to engage her time and effort in environmental work and community activism for the safety of women and children. The rich biodiversity of southern African deserts and scenarios for its future have particularly attracted her concern. Kirsti has returned to the academic sphere, this time beckoned by the spirits of Namaqualand to investigate where its Halfmens (Pachypodium namaquanum) are going. Halfmens is a succulent tree endemic to the arid Namaqualand region and surrounds. Its distribution range is shared by Namibia and South Africa. It is a protected species in the range states as well as internationally under the CITES convention. The plant’s ancient look, north-facing curvature, and link to indigenous folklore render it a tourist attraction and a sought-after collector’s item traded locally and internationally as a garden ornament. Illegal collection from the wild is often cited as the biggest threat to the species. A pair of photographs taken at a P. namaquanum site in 1956 and repeated in 2003 has revealed an alarming 75% reduction in plant abundance at the site. How widespread is this decimation and what is really driving it? These questions form the basis of her study. The results of the study will feed into a conservation strategy for the species. The study will further improve our understanding of the processes that have shaped the Succulent Karoo biome, the threats affecting its unique fauna and flora, and management interventions required to save this global biodiversity hotspot.